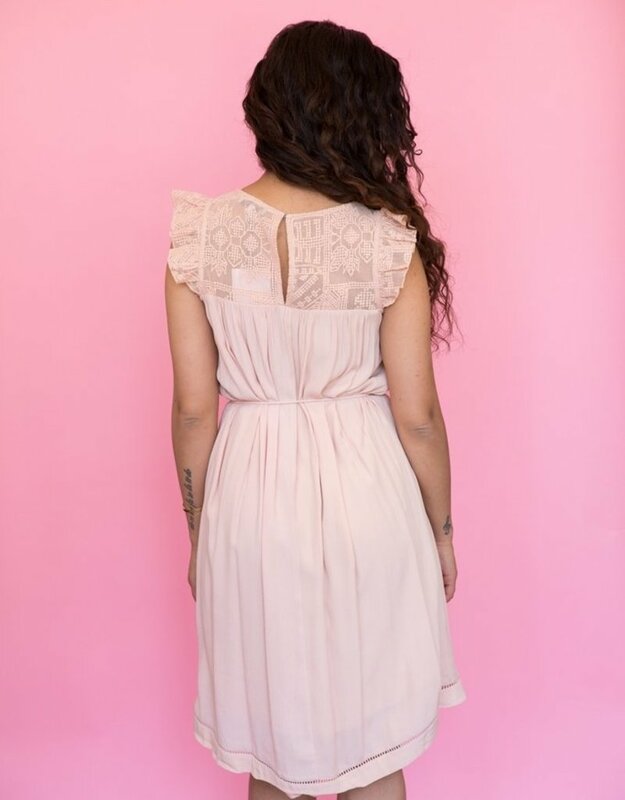 This feminine blush dress features pretty ruffle and crochet details at the neckline with a tie that cinches the waist for an ultra-flattering look! Fabric: 100% viscose, Lining: 70% Polyester and 30% cotton. Designed in Paris, France.